Yamaha Tech 3's Johann Zarco enjoyed a dreamy but intense qualifying session that saw him beat Honda Repsol's Marc Marquez for the pole position at tomorrow's MotoGP Grand Prix of France—Zarco's home race. The Flying Frenchman didn't stop with the pole position, as he also annihilated the rest of the field by smashing the pole record at Le Mans, becoming the first Frenchman to start from the front of the grid on home soil since Christian Sarron in 1988, back when the French round of MotoGP was still contested at Paul Ricard. 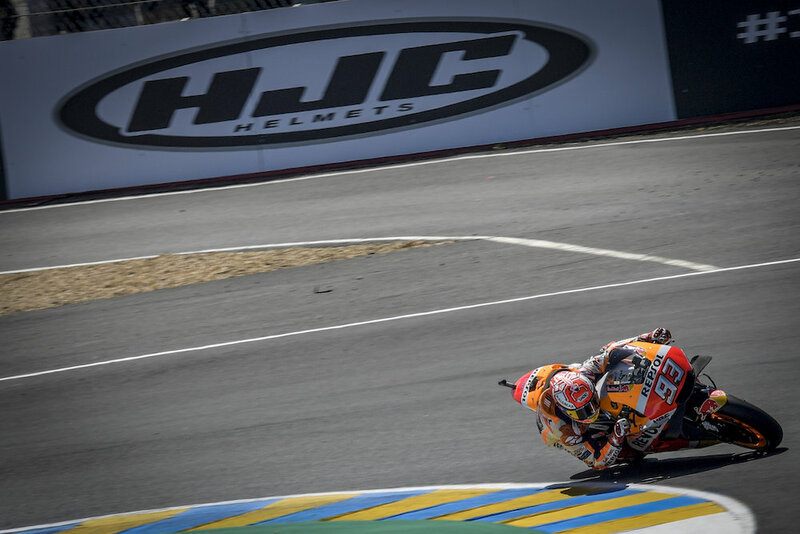 The nail-biting session was one of the few times where Marc Marquez has been visibly worried about his lack of pace, even if the Spaniard still delivered a marvelous second place and could realistically maintain a faster pace than Zarco during tomorrow's race. 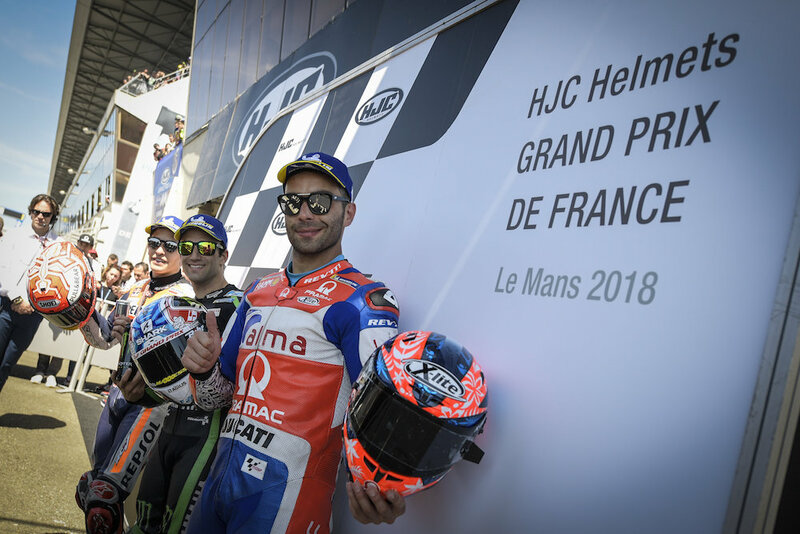 As it's been the case in 2018, it was an independent rider and team who rounded up the top three, with Danilo Petrucci with his Alma Pramac Racing Ducati. At the end of the session, the top three riders were separated by less than two-tenths of a second. A bit further back on the grid were the Suzuki and Ducatis of Andrea Iannone, Andrea Dovizioso, and teammate Jorge Lorenzo in fourth, fifth, and sixth place. Dovizioso's excitement of having just renewed his contract with Ducati for another two years didn't exactly translate into performance, but tomorrow's race will surely present the Italian and his world-champion teammate with new opportunities to shine. The Yamaha duo of Maverick Vinales and Valentino Rossi could only manage to secure the eighth and ninth place on the grid, while Honda Repsol's Dani Pedrosa had to settle with 10th. Independent superstar rider Cal Crutchlow qualified 13th but will miss Sunday's race due to being hospitalized after crashing during Q1.